You've likely made a customer profile before and probably analyzed it to death. Here are marketing expert and American Lighting Assn. speaker David Avrin's tips for taking the profile a step further. If there's one thing that binds every business professional in every industry, it's the practice of creating a customer profile. The customer profile goes by many names (ideal customer, consumer profile, customer outline, to name a few), but the idea remains the same: Outline the demographics and psychographics of your intended customer in order to better understand how to serve him or her. In the grand scheme of things, it usually helps. But it could be better, and that's what marketing expert and author David Avrin wanted to show through his talks at the American Lighting Association's (ALA) 2018 conference in Asheville, NC. 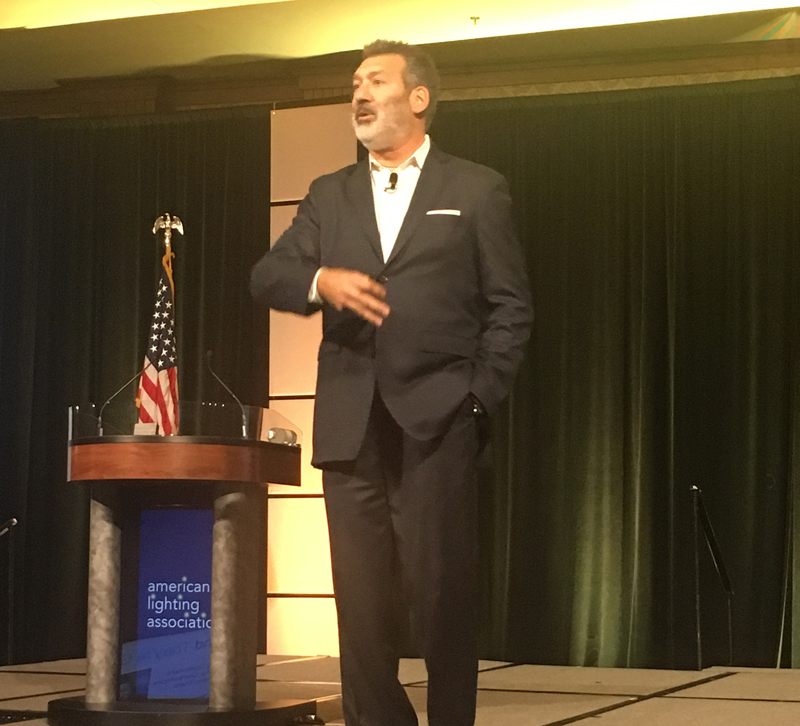 During his keynote address at breakfast on Tuesday and his breakout session talk later that morning, Avrin outlined changing customer expectations and how lighting showrooms (and really furniture showrooms) can better serve their customers. If you've ever built a customer profile and wondered "What's the point? ", then check out Avrin's strategy for taking that practice to the next level and thinking about how your customer path — the journey from research and discovery to purchase — could serve the customer more efficiently. Your store likely has a few customer profiles in mind, everything about your ideal customers' demographics and psychographics. You have a name, age, occupation, income level and probably a few other key details. That's the tertiary level, Avrin explained to a crowd of ALA goers, but it is possible to go beyond those details and get a better idea of how to best serve the customer. - 5 things they hate about buying furniture or lighting. Think about this from your ideal customer's perspective. What would a working mother (age 35) hate about shopping for furniture? What would a 55-year-old married man with two high school kids hate? - 5 things they love about buying furniture or lighting. What would make the experience the most pleasant for your ideal customer? - 5 things they might fear or worry about buying furniture or lighting. Will the chandelier fit in the space? Is that sofa the right size? Can the divorced parent of three kids afford a new dining room table? - Choices your ideal customer has other than buying from you. Buying from a competitor obviously, but the customer could decide not to buy at all and put it off for another year. Now look at your answers and analyze your ideal customer's path from first interaction to making a purchase. How could you enhance your buying path to help ease some of these fears and hates and enhance the joy in furniture and lighting shopping? During Avrin's talk, listeners participated in this practice, and some even volunteered to share their answers. One showroom owner described an ideal interior designer customer and said that one of the things she (this volunteer identified the customer as a 35-year-old female) hates is when the lighting installation is too complex and she needs to hire a more skilled person for the job. The showroom owner said this was a common problem with designers and a frustrating fix. Avrin's suggestion? Create a YouTube video and explain how to do this installation. The designer will likely still need to hire someone to install the fixture anyway, but knowing this information ahead of time makes a difference. Even having an idea, though maybe not the skill set, on how to install it can also make a huge difference. No showroom can safeguard against every possible scenario. Even if you have a good relationship with a manufacturer, there will always be a chance of a product arriving late or damaged. No showroom can help that, but they can set reasonable expectations for customers to help ease their minds if anything should go wrong. By letting customers know what to expect when something goes wrong or just in an unexpected direction, showrooms keep their customers confident and happy. What Avrin's talk came down to was really a matter of good communication, which can come in many forms. It may be in your video content or your blog that helps educate the consumer about buying lighting and taking care of it, or maybe it's in how your sales associates speak with customers. What Avrin wanted to express was that the conversations and lingo used don't have to be convoluted. Just keep it simple. Set expectations with clients and be upfront about what is realistic and what is not. At the end of the day, most customers just want a little assurance. They want to feel good about their purchase. They want to know someone is looking out for them. Playing it straight — in a world of lengthy user agreements and — can go a long way.